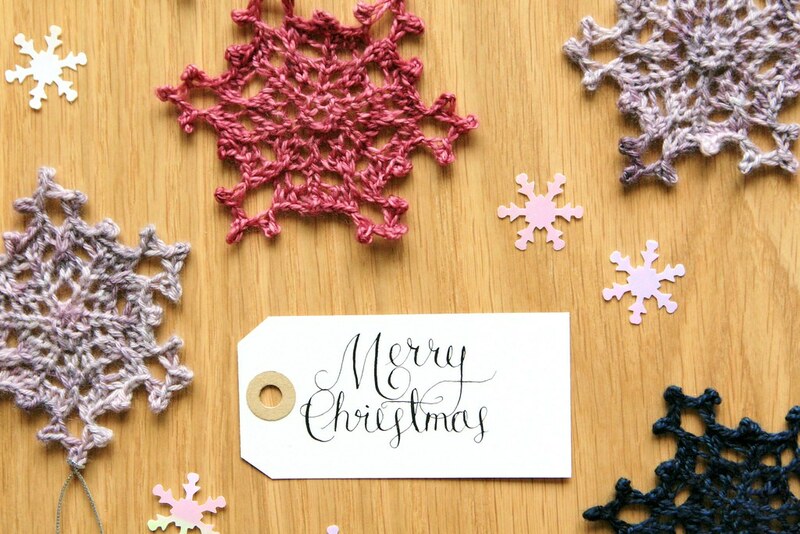 I've been doing a bit of festive knitting this year to make cute little gifts, and decorations to add a Christmassy touch to our home. 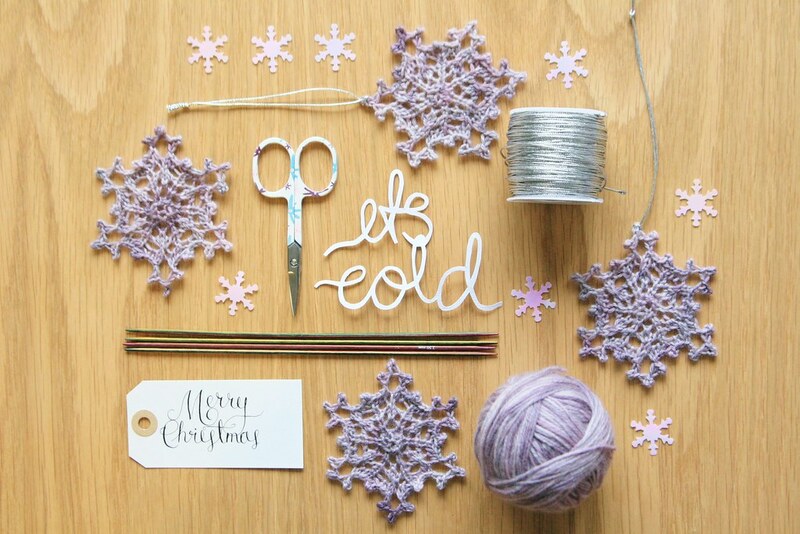 I've found in the past that designs like this snowflake are usually crocheted, and given that my skills in that department are very limited, I was pretty chuffed to find this knitting pattern for snowflakes on Ravelry by designer Sharon Winsauer, which you can download for free. And you can find it here! Once I got to grips with the pattern, it was quite simple to try out slightly different edges and designs. Every snowflake is unique, obviously. 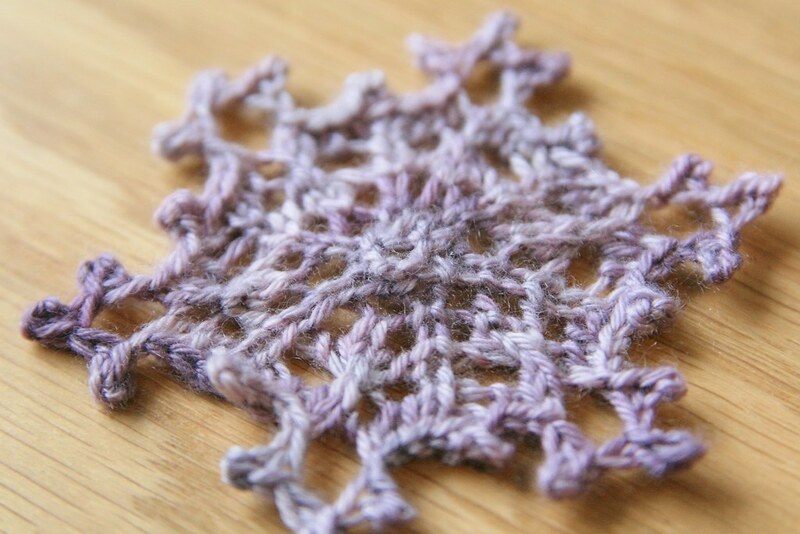 The pattern is knit in the round with 4 dpns, and the design is hexagonal so once you've set up your stitches, the pattern repeats itself in six little sections. The whole thing made a lovely little project to cart around on the tube and work on while I commute. I was able to use up odds and ends of yarn that were floating around in the bottom of my knitting basket, and I pulled out the snowy, wintry colours. 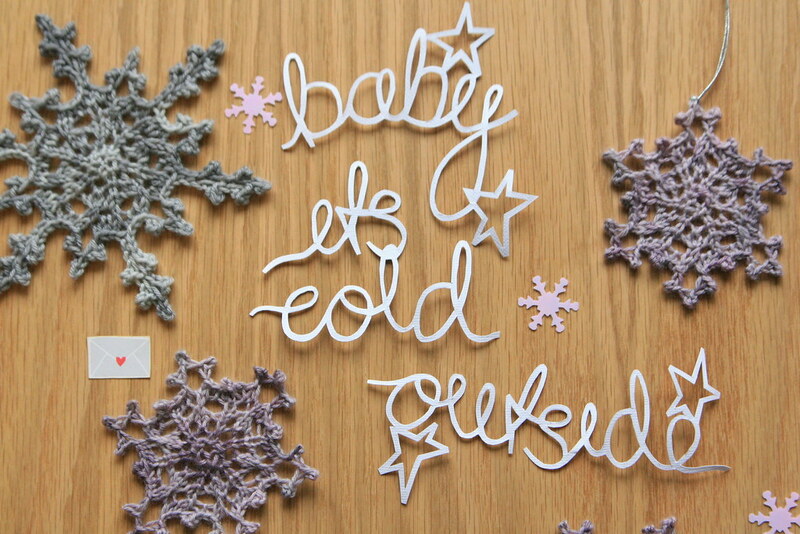 Each snowflake is reasonably quick to make, and doesn't need much yarn at all. 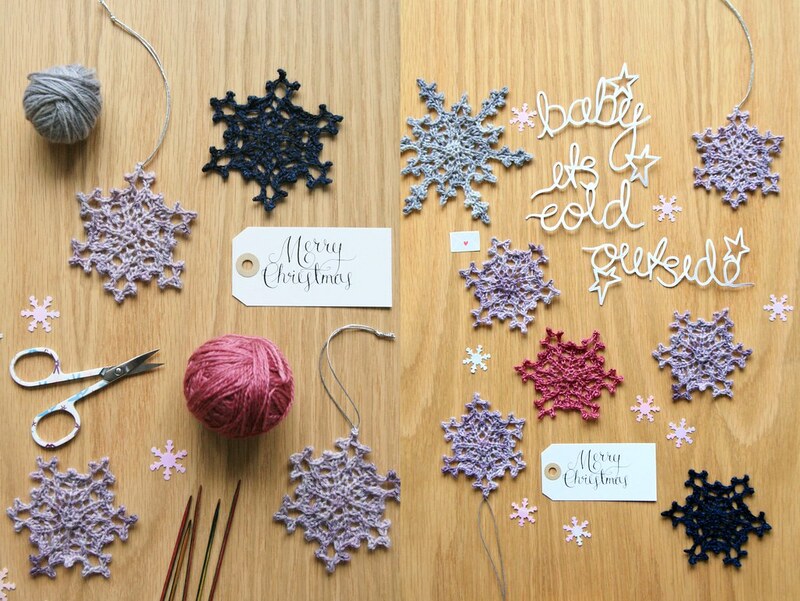 The only fiddly part of snowflake production was blocking them to shape. 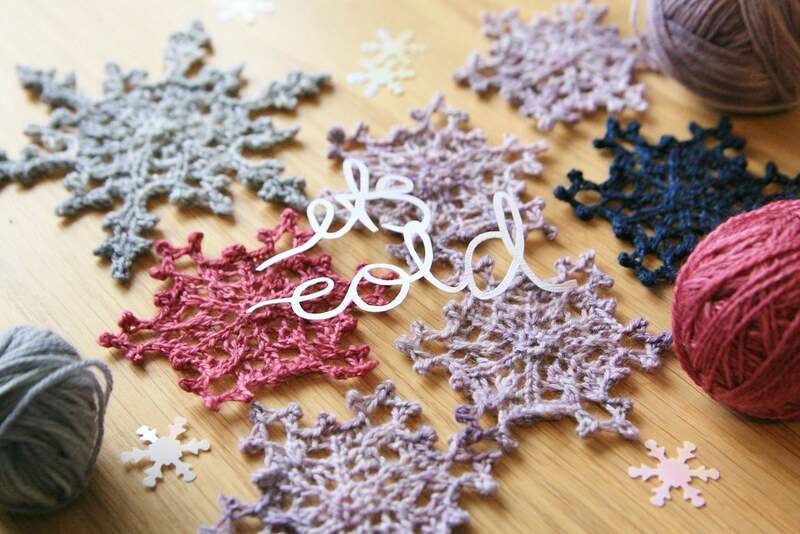 That involved soaking them, and then stretching and pinning them to shape so they dry into snowflake shapes. When first knit, they look more like woolly Brussels sprouts. There are lots of little points to pin out, but I think the final, lacy effect is well worth it! And I had lots of fun photographing them! P.S. This post is part of series I'm blogging for Shimelle's Journal Your Christmas class: capturing festive memories every day throughout advent. 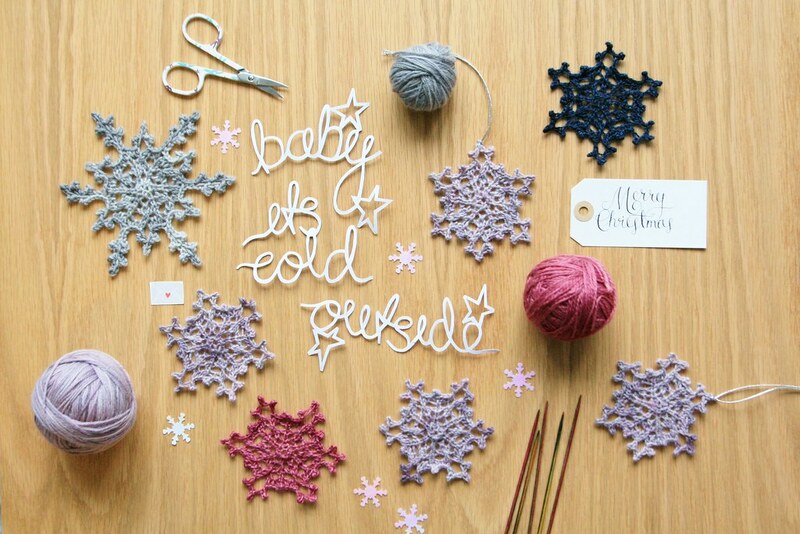 These are stunning little pieces of art and I'm going to have a go at making them as like you I cannot crochet! 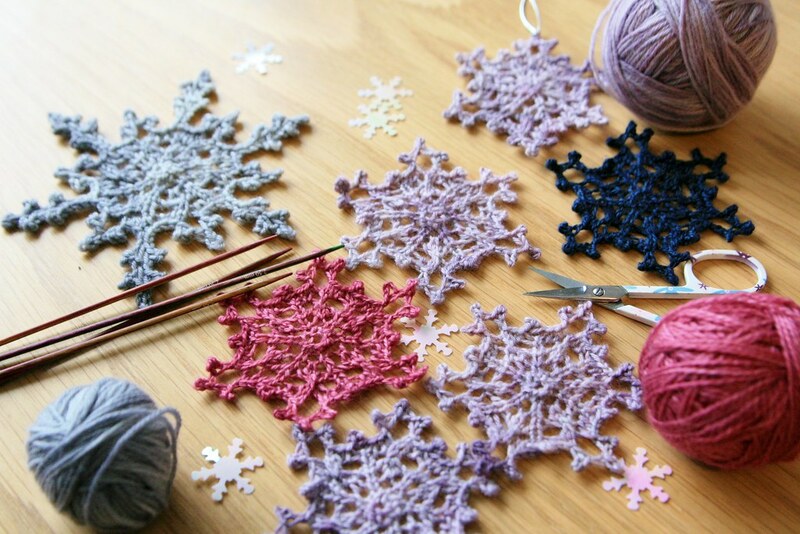 They look intricate and lovely.The winter is long, I still have time to learn to make this.